One of the most common procedures when waterproofing a deck is using creative finishes for more stylized looks. These finishes add an aesthetic value to deck surfaces while doing double duty creating a protective layer. You’re maybe unaware of the artistic side to waterproof coatings, even if you’ve already had the process done on your outdoor deck. Quality waterproofing professionals give you numerous finish options, most of which come in various appealing patterns. Many of these mimic different materials like tile, brick, or wood. For those of you working on a budget, this adds something convincing without having to spend extra money on the real material. Plus, you’re still helping to protect your deck from the elements. So what other advantages do you have creating different finishes? Also, which patterns are the most popular? Since water is already a major danger for your deck, waterproofing keeps it from experiencing deterioration or rot in plywood or concrete. While the protective nature of finishes help your deck last for years, the decorative aspects are just as great. Thanks to extensive creative choices and other customization, you can turn your deck into something better representing your personality. Perhaps you think of wood finishes as being overly basic with overly boring or standard colors. This isn’t true when you work with the right waterproofing company. You have numerous colors and more to shape your deck into something unique. Now you don’t have to settle on just one finish color to match your house color or other surroundings. Many of these help you find something properly fitting your personal style if you use your deck for entertaining year-round. Even better is the ability to create custom colors. While it does take time to put together a custom color finish, it’s more than possible. Regardless, it’s in finish patterns where you’ll be able to really turn on your creative switch. Take a look at what’s available and what’s the most popular. With numerous patterns available, you’ll be able to bring some further customization to how your deck looks. Patterns like diagonal, herring bone, and inlay are some of the most popular, but you have so many others. 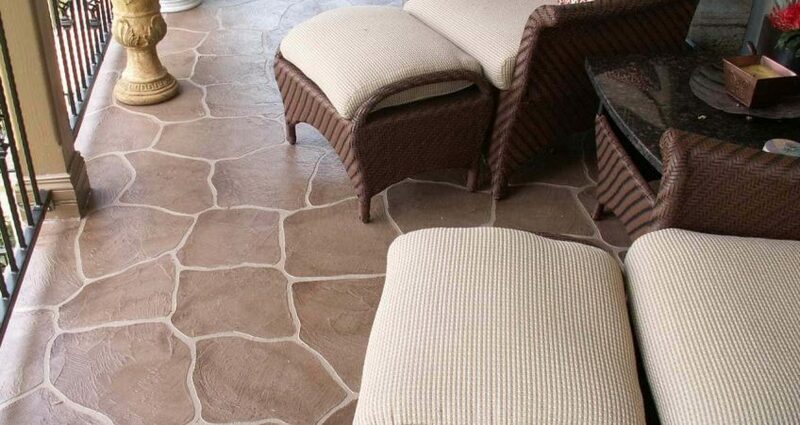 Some of these include tile patterns that come in differing styles and look great on rooftop decks. You’ll find various variations on these through online sources like Houzz to show how stylistic they are in any setting. Brick patterns are just as popular, and save you money laying actual brick on your deck surface. These patterns look so real, guests can’t tell the difference between the pattern and the real item. It’s the same with wood patterns, particularly if you have concrete and want to mimic wood. Mixing and matching is another popular option when it comes to finish patterns. Many people enjoy combining stained concrete with imprinted borders. Colored overlays with engraved patterns are a great combination as well. Using exposed aggregate finishes help prevent slipping, which is important to guests if you have a deck near a swimming pool or other precarious area. Contact us at Pli-Dek Systems so we can provide a creative finish to your outdoor deck with an extensive list of custom choices.